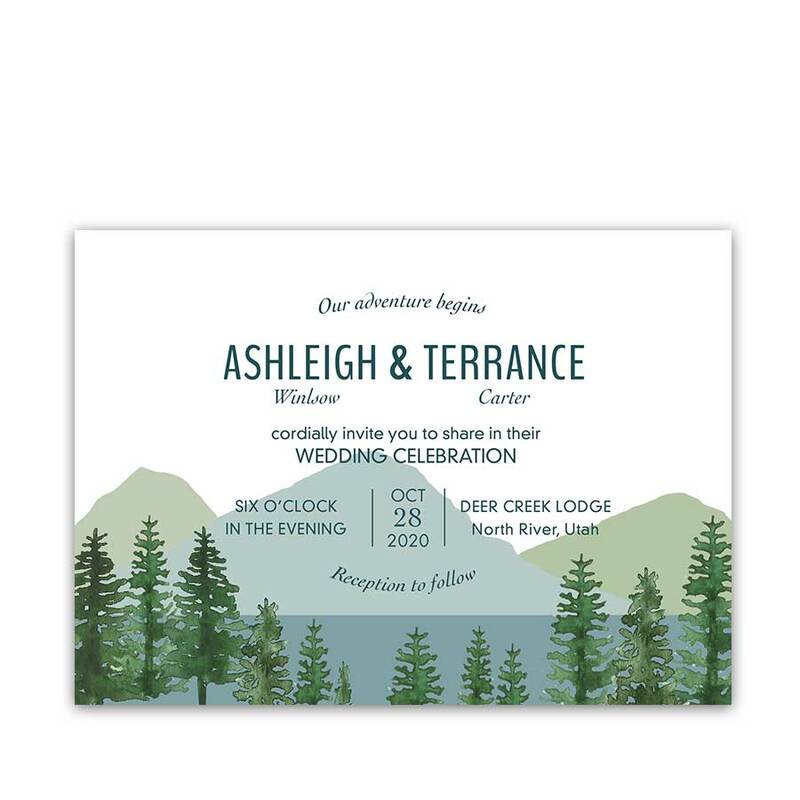 A beautiful boho chic style mountain themed save the date featuring the great outdoors minimalist fonts. A gorgeous and elegant save the date card which will set the stage for your lovely bohemian adventure themed nuptials. Choose between two paper types and each card comes with an accompanying envelope. Mountain Wedding Save the Date Cards Woodsy Watercolor. 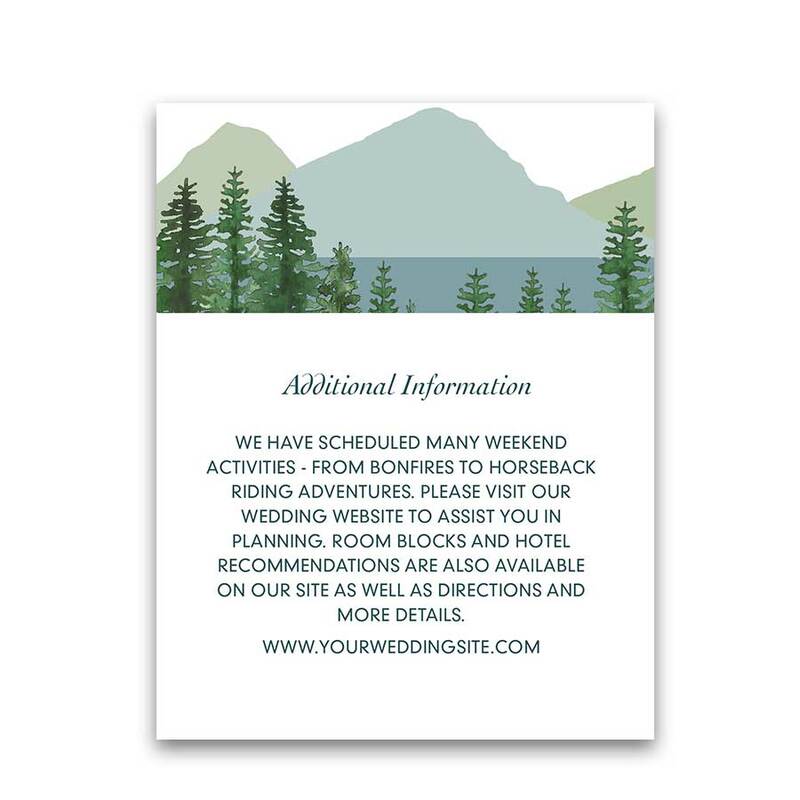 This absolutely stunning mountain themed wedding save the date card features a lakeside mountain landscape with pine trees and so much charm. Hand Painted mountains in tones of green set the stage for a whimsically elegant outdoor adventure wedding in all months. Welcome to the Mountain Lodge Collection. 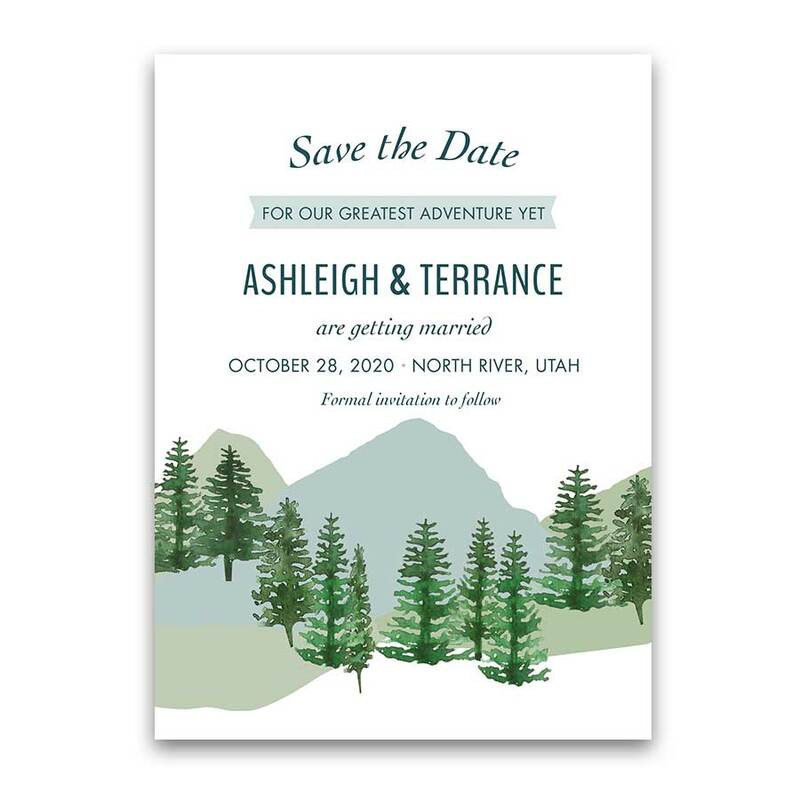 Save the date card for your outdoor mountain wedding with this absolutely stunning save the date card. Featuring a white background and watercolor mountains, the pine trees and lake surround the main event- your wedding. Modern fonts complete the design perfectly. 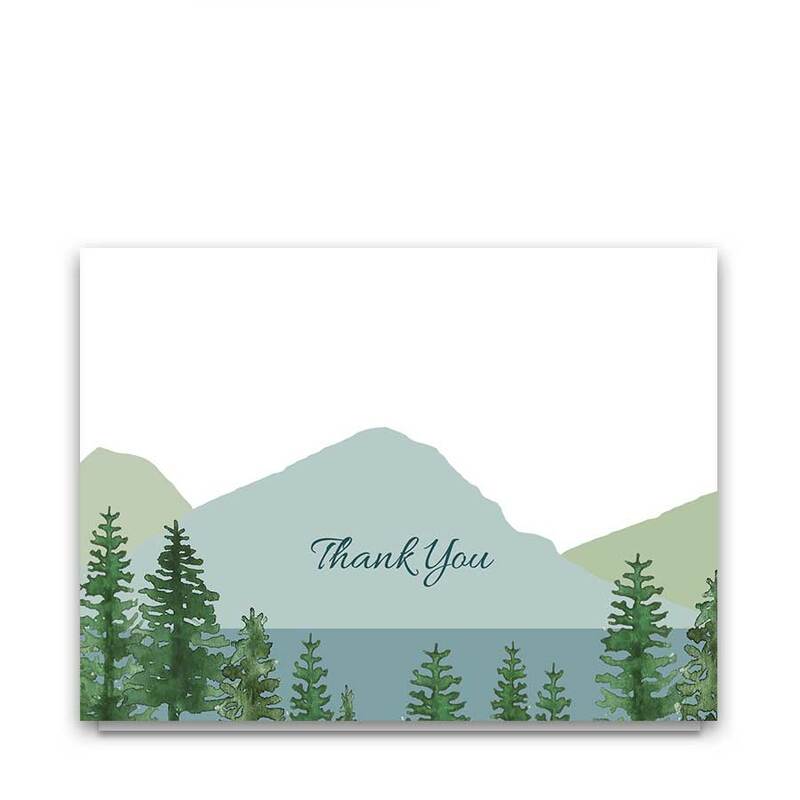 Likewise, an entire wedding suite with coordinating mountain designs is available in the store. Especially relevant for: outdoor weddings, summer weddings, boho chic weddings, and rustic chic weddings- not to mention adventure themed weddings alike in summer, spring and winter. 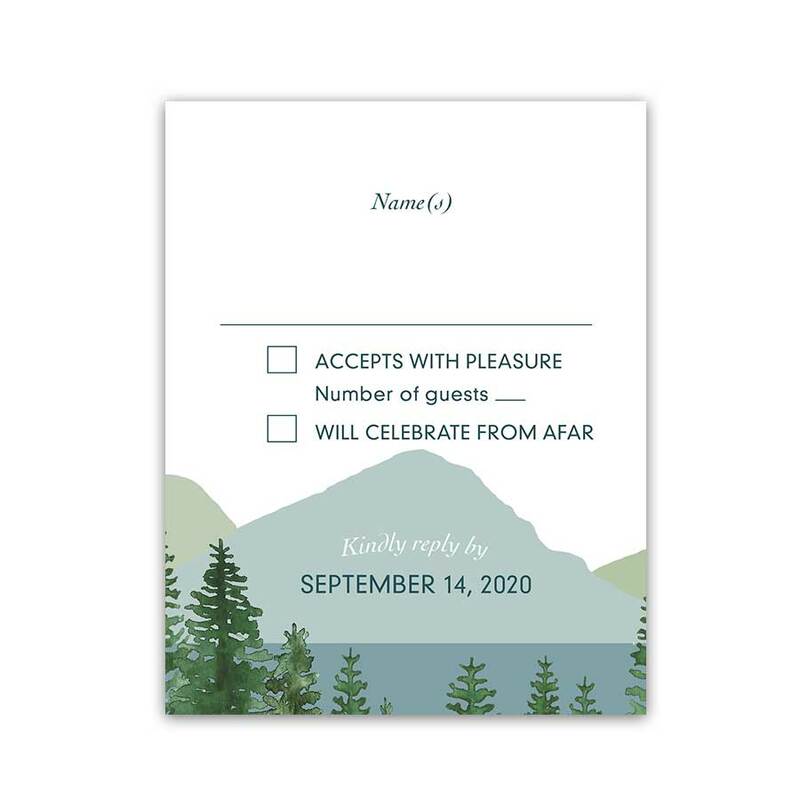 The Mountain Wedding Save the Date Cards Woodsy Watercolor measure 5 inches wide by 7 inches long.